David Fox’s experience with patent law began in 1990 as a Patent Examiner with the U.S. Patent and Trademark Office. 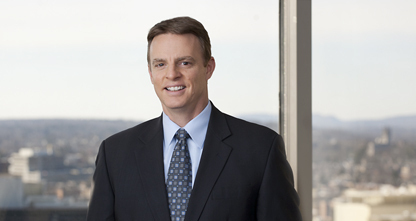 In 1995, Dave entered private practice counseling clients in all phases of patent prosecution. His current practice involves patent prosecution, due diligence, invalidity/non-infringement opinions and pre-litigation analysis. He co-chairs the firm’s Electrical-Mechanical Department and focuses on electrical, software, and mechanical technologies. He has been an adjunct professor of patent law at the University of Connecticut School of Law.